LeBron James, who was trapped in the corner, throws a cross-court pass to J.R. Smith, who finds Love at the top of the key for three! LeBron James finds the cutting Kyrie Irving for his first career playoff basket! 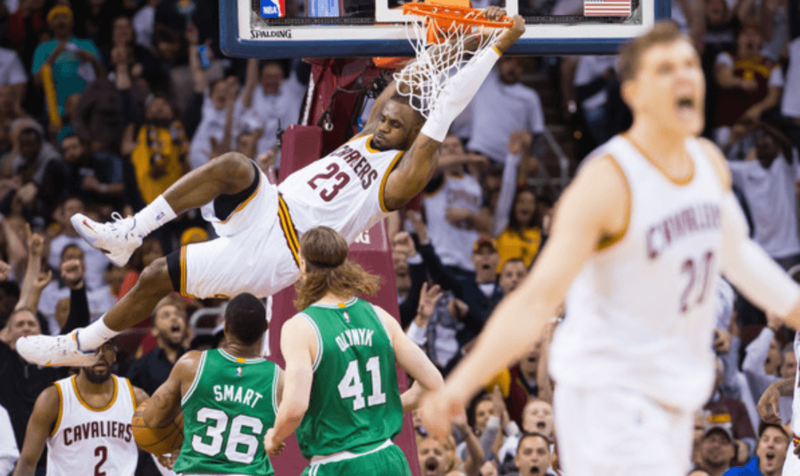 Click “Next” below for eighth and seventh best plays from the Cavs-Celtics first-round series!